Becoming an expat comes with a series of emotional and financial challenges, and there are mistakes you should avoid to ensure you that you live expat life to the fullest. Whether it’s forgetting to service your overseas debts in your home country, opting for an unfavourable exchange rate, or failing to notify your bank of your plans to move abroad, you need to remain frugal with your finances. Regardless of your financial behaviour, such as whether you’re paying for purchases on plastic or taking advantage of money transfer services, here are some mistakes to avoid when managing your financial commitments abroad. When you move to a new country, you don’t leave your debts behind; you take them with you. Whether it’s a student loan, taxes, or a mortgage, you’ll need to decide on the best strategy to manage your overseas debts and payments, no matter what your destination is. For instance, you may want to set up a recurring payment through a global money transfer to ensure that you don’t fall behind on any repayments. If you intend to move overseas, you should let the authorities know. Whether it’s notifying your bank or registering your plans via a government website, be proactive by telling the authorities of your travel plans to ensure things are smooth sailing. It’s important that your bank is aware of your plans to move overseas because if you don’t tell them, you may find that your account is unexpectedly cancelled or frozen due to “suspicious” activity overseas. Moving overseas doesn’t mean you should forget the basic money management skills, so don’t lose sight of being savvy with your finances. If you have a credit card, you probably know that you need to make minimum repayments to avoid late payment fees each month. However, as you’re only required to pay 2% to 3% of your balance each statement period, this means that up to 98% of your debt continues to grow with interest if you only make the minimum repayment. Instead, you should always aim to pay your balance in full, or at least pay as much as you can each statement period. If you clear the entire balance, you can avoid interest costs and will also enjoy interest-free days on future purchases. If you can’t pay off the entire balance, paying as much as you can still helps minimize your interest costs. If you stick to a budget each month, you’ll know exactly how much you need to repay and can put money aside specifically to pay your credit card bill. For expats or business owners who need to pay international suppliers or providers, it’s important that you understand the costs involved, and budget accordingly. A cost-effective way to send money across global boarders is through a competitive transfer provider. With fewer transfer fees, favourable exchange rates, and faster processing times, specialist transfer providers are generally more competitive than transferring funds with your bank. Jump online to see what options are available to you and consider setting up recurring payments for ongoing bills such as school fees or mortgage repayments. 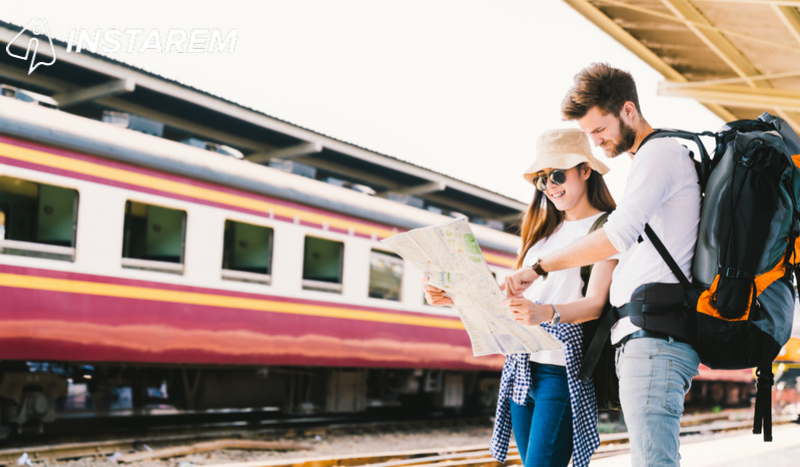 Making the most of a global transfer provider, such as Instarem, is a cost-effective and speedy option where you can save up to 80% or more for each transfer with a joining bonus. As superannuation is automatically credited into your account by your employer each month, it’s sometimes easy to forget. For most people, your employer must pay 9.5% of your salary into your super fund account. However, you should still keep track of your superannuation balance to ensure that your payments are correctly made each each month. You can use this employer contributions calculator to work out how much your employer should be paying into your super fund in your new country. If you notice any missed payments or irregular activity, you should contact your employer immediately to resolve the issue. If you want to give your superannuation balance a boost, you can potentially ask to have extra money deducted from your pre-tax pay to contribute to your super each month. There’s an annual limit to how much you can transfer this way, but it’s a useful tactic, especially as you get closer to retirement. If you have a savings or home loan account with variable interest (both in your home country and new country), keep an eye on rate movements in both markets. As such, cardholders often fall into the trap of applying for a high interest rate and then failing to notice when the bank lowers it. Usually, the bank will notify you of the rate change by email or post. So, it’s important to open your statements from your bank and keep an eye on your account to keep track of this. If the rate change significantly affects your savings plans, you should consider swapping to a different savings account with a more competitive rate. Otherwise, sticking with your bank purely for the convenience could put a massive dent in your potential savings. While learning smart money practices is vital, it’s just as important to be aware of the traps to avoid to keep your finances in control. Dodge the traps and reap the benefits during your expat adventure.